Christa: Sure. K-State 360 is an online program designed to help students navigate through six competencies employers have expressed are essential on resumes. Our goal is for students to become more career-ready and marketable in the job market. The concept for the program was initially presented to students and employers in 2014, then was formally implemented in the fall of 2017. 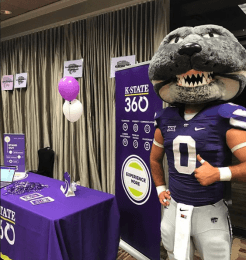 PFA Intern: Where can students access K-State 360? Christa: All undergraduate students on the Manhattan campus and those enrolled through Global Campus can access K-State 360 on mobile devices through the K-State app, or through the K-State 360 website. PFA Intern: That’s great! Studies show that while 20% of learning happens in the classroom, 80% of learning comes from outside experiences and extra-curricular activities. How does K-State 360 collect those experiences to benefit students? Christa: Any department or organization on campus is able to create and submit events to the platform. 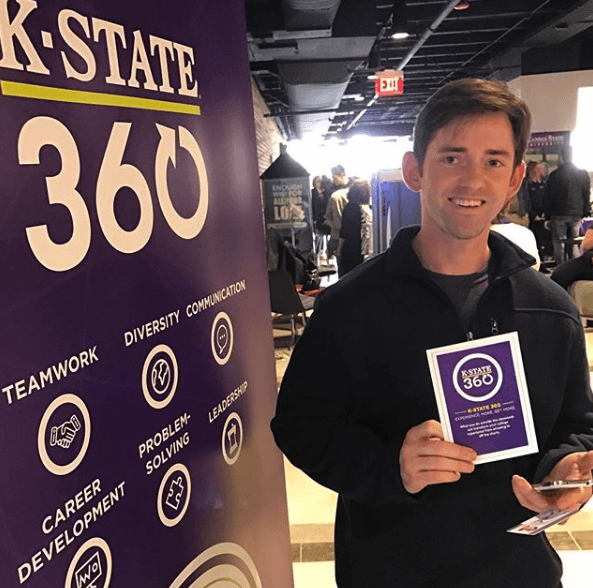 K-State 360 is currently partnering with nearly 200 areas across campus that regularly submit events. Through those partnerships, we are able to provide credited events for all students in all majors. Whether you are a part of a club for your major or attend a KSUnite event, we are able to track your participation in alignment with our 6 competencies that include: leadership, communication, diversity, teamwork, problem solving, and career development. 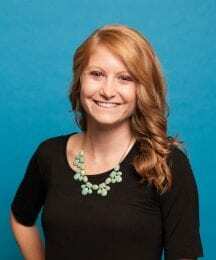 PFA Intern: As a student, I’m thinking about a lot of students who I know who have a full-time class schedule, are working at least one part-time job, while also trying to be involved in at least one or two student organizations. Students are busy! What does the time commitment look like for students to manage their involvement within K-State 360? Christa: The beauty of K-State 360 is that it is not another time commitment, but rather a tool for students to track the skills and development they are already a part of. We are here to guide your student’s interactions and to organize their involvement. We know that when students are filling out applications and participating in job interviews their junior and senior years, that they may not remember the career development lectures or leadership opportunities they participated in their very first year at K-State. Our ultimate goal is the same as yours — to ensure your student is equipped to find that dream job or professional school right after graduation. PFA Intern: K-State offers a variety of programming to attract the attention of all students. What are some examples of events or services that count towards K-State 360? 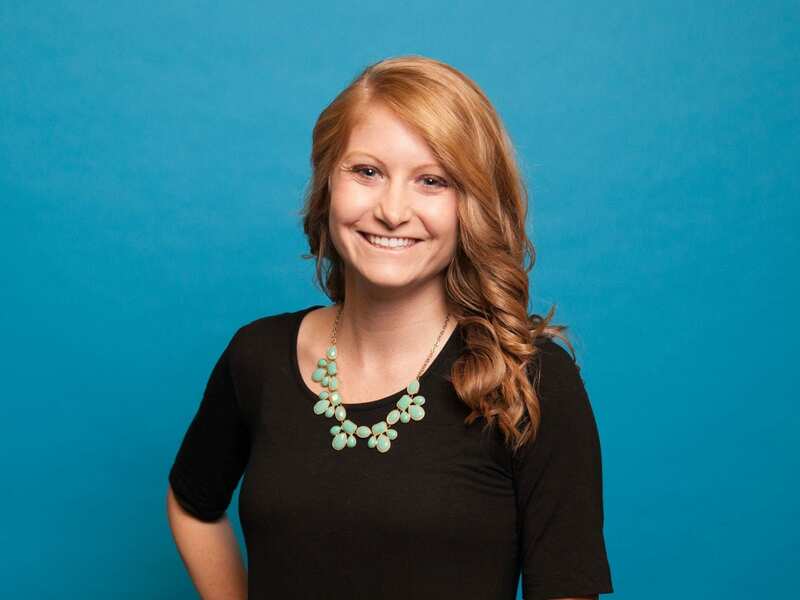 Christa: For the diversity competency, many popular events include KSUnite lectures and activities as well as Wildcat Dialogues, a small-group discussion led by upperclassmen for new students. The Career Development competency features a strong partnership with the Career Center, where we include resume critiques and career fairs. Online mock interviews are a popular choice for students looking to complete their communication competency. Financial training and budget courses through Powercat Financial are a part of the problem solving competency. K-State 360 also recognizes high-impact learning such as education abroad, mentorship, service learning, internships, and undergraduate research. PFA Intern: Describe what an effective use of K-State 360 would look like for the average student, and how they can implement the data collected into their resume, job interviews, etc. Christa: When students attend lectures or events, they need to swipe in with their K-State ID to receive credit. Throughout their time at K-State, each student will want to track what competencies they are completing or need more experience in. K-State 360 is a constant asset and tool for students throughout their 4+ years at the university. In gathering all of their personal information, we don’t want students to attach their record to their resume, but rather to meet with Career Center professionals to include keywords or examples from their experiences. PFA Intern: As K-State continues to further implement K-State 360 across all departments, where do you see the platform going in the next few years? Christa: Luckily, K-State 360 is only in its infant stage. We are working and collaborating every day to build up the platform to be the most beneficial tool on campus. We want it to become part of the K-State culture and way of life by adding photos, incentives, and connecting the platform to LinkedIn. K-State 360 has so much potential looking ahead to the next 5-10 years! PFA Intern: Wow, this is awesome! As we wrap things up, would you share with parents and families the best kept secret about K-State 360? Christa: Absolutely! The coolest part of K-State 360 is that the platform was completely developed at K-State. It’s a homegrown software that has been built and created specifically for K-State students. Through focus groups and conversations, we are continuously molding 360 to most effectively support our students. PFA Intern: Christa, thank you again for sharing what K-State 360 is and how students can effectively utilize the program. I know I learned a lot! Christa: Great, Sadie! I am glad I could help! For more information about K-State 360, check out this video!